Let’s walk down shaky memory lane and see what IBBB was blogging about This Time Last Year…. 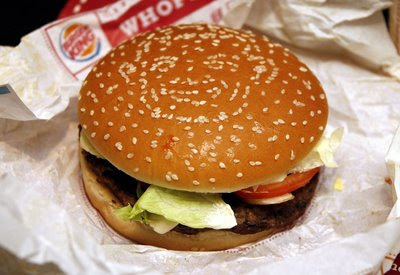 I thought I was done after the Tylenol commercial, that was until I saw the latest Burger King Whopper commercial. Have you seen this crap? Burger King plays their own version of Punk’d and installs hidden cameras and then tells their customers that they’ve discontinued the Whopper. My thought? Who in the holy hell would care? Oh, my friends, but I was wrong. I was wrong indeed. People care. White trash people seem to care the most. One lady is at the drive-thru window and declares to speak to their manager when she pulls up. Clearly she is irate about them taking the Whopper away. Next up, some homophobic dude says that if Burger King takes away the Whopper they should rename themselves Burger Queen. Yeah, that’s nice. Another kid looks completely distraught that there is no more Whopper that he seems inconsolable. What’s even better is that these people have then signed release forms to allow Burger King so show them in their national commercial. I’m sure their families are beaming with pride. Pull up a tin folding chair around the 19 inch black-and-white TV, Junior, because daddy’s on TV! Yee-haw (with guns being shot up in the air). I have an idea Burger King and “citizens of the world,” why not take this as a cue that we may be addicted to this crap and start eating, oh I don’t know, healthier? It’s a crazy concept, I know. Maybe try cooking for your family. Chicken? Rice? Vegetables? Gasp! Just keep in mind that if your first reaction to fast food being removed from a menu is that of pure horror, disbelief, and wanting to escalate this matter to the supervisor who makes $8.50/hr then you may have some food dependency issues. Here’s to obesity! Fatass.